Hear ye! Hear ye! That’s a weird expression. Doesn’t “ye” mean “you?” Why yell “Hear you! Hear you!” Whatever. Hear you! Hear you! Film Streams is now accepting submissions for its eighth(!!!) annual Local Filmmakers Showcase. You can submit using a computer doohickey here or you can send a Digital Video Disc (what I call a “DVD”) or flash drive and submission form to Film Streams, Attn: Dené Oglesby, P.O. Box 8485, Omaha, NE 68108. There’s no fee, but you won’t get your DVDs or flash drives returned to you, so don’t include gross stuff on those drives…or at least not gross stuff you want back. You have to be a resident of Nebraska or Iowa (in order to submit, not as a rule for life), and work that has screened outside of festivals for paying audiences aren’t considered. Gam-gam can have seen it, unless she paid you a silver dollar to watch. There’s also a Student Spotlight for elementary, middle and high-school students, a maximum of three submissions and a deadline of July 21, 2017. Head to filmstreams.org for details on the showcase (which is in October) and more fine print. Because, for real you guys, that print is fiiiiine. Also happenin’ down at Film Streams, on June 13 at 7 pm, the theater will partner with Legal Aid of Nebraska to show a screening of the 2014 drama 99 Homes, which features Michael Shannon, Andrew Garfield, Laura Dern and gross parallels to real-life stories of evictions and the modern housing crisis. Afterwards, the panel discussion will focus on Omaha’s housing issues and tenant rights. Hopefully, someone asks about avocado toast, as I’m told that you can have a house or avocado toast but not both. Then, on June 19 and June 22, Film Streams is collaborating for two outdoor screenings. The Wiz will be shown in partnership with Midtown Crossing on the 19th at Turner Park, and Selena will be shown at El Museo Latino on the 22nd. Both showings are free and also offer the rare opportunity to see movies whilst being outside. I am told the outside is a fun place with fresh air, but I haven’t trusted the rumors enough to find out myself yet. On June 16 and 17, The Alamo Drafthouse is your density. 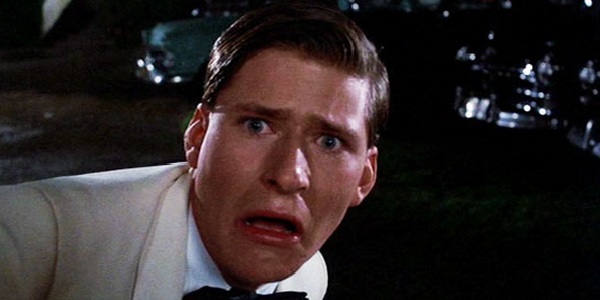 Crispin Glover—who I will politely refer to as eccentric and unique because he is coming to town and conceivably could be in my physical space—will be doing meet & greeting and Q-ing & A-ing after screenings of his films It Is Fine! Everything Is Fine! and What Is It? He will also, according to the press release and not my own weird imaginations, be performing “dramatic narrations” of eight different illustrated books. If one of those books isn’t Everybody Poops, someone has fallen asleep at the wheel.